This 50-Person Trauma 2.0-Year Refresh Kit is an affordable and easy way to replace expired items in your emergency medical kit. Don't be caught in an emergency with expired and non-usable medical items. 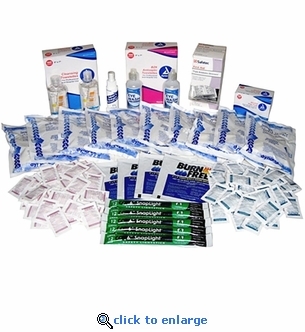 We have Refresh Kits available for all our emergency medical kits. Almost all trauma kits on the market have many items that expire in as little as 2 years. Your refresh kit comes packaged in a clear bag with a content card and Instructions.